This carte-de-visite shows Lt. 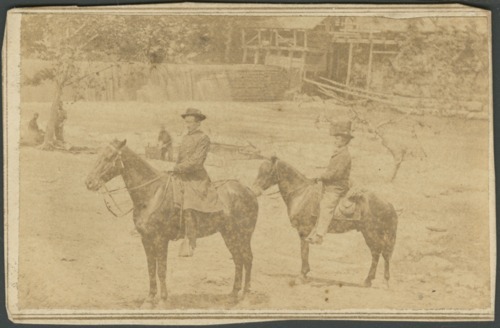 Colonel John Conover, staff officer, and possibly Private John A. O'Meara, on horseback near a river. The carte-de-visite was originally in an album belonging to Lt. Charles H. Slawson, who served in Company I of the 8th Kansas Volunteer Infantry.